I would like the opportunity to review my first book, then I could be more qualified to comment on your wonderful service. I am a new user. Thank you. I'm sure if I only wanted books from Project Gutenberg or something this would be great, but I have an OPDS feed through Libreture.com and want to be able to use it. This app won’t let me access the books after I download them. They won’t even download to iBooks and I can’t use them anywhere else. What’s the deal? I like this app. It allows you to search for open domain works from one app. However, sometimes books will not download. I use it frequently, added libraries in foreign languages. Like it! As a tech writer I found a useful tool. Thanks. This is very nice and unique app. It could help you to find many great books. Sometimes you could find very rare books, but only if you would be patient enough to do a good search. Many Chinese classics can be found. Way 2 go! 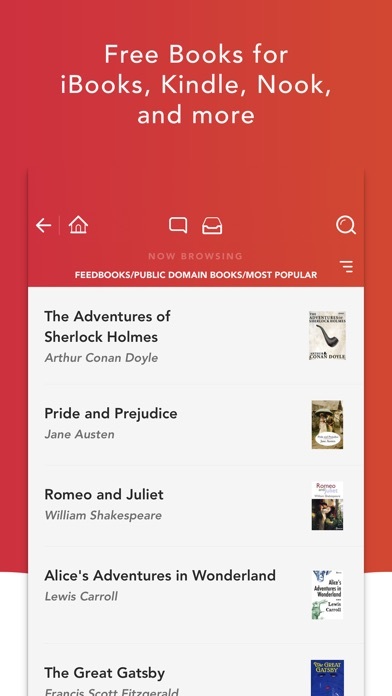 Best book search app ever! Me gusta leer. Y tienen lecturas de todas clases. Wujuuuuu! Thanks for doing this project! This is totally awesome for research or just plain entertainment and is kind of like a trip to the library only it’s not because we’re online and I’m not wearing pants. So yay. I am impressed to find and to enjoy so many books in so many languages. No matter your interest, you will find some books to feed your desire, your interest, your mind and even your eyes. Congrats to the team. You are doing a great work!!! 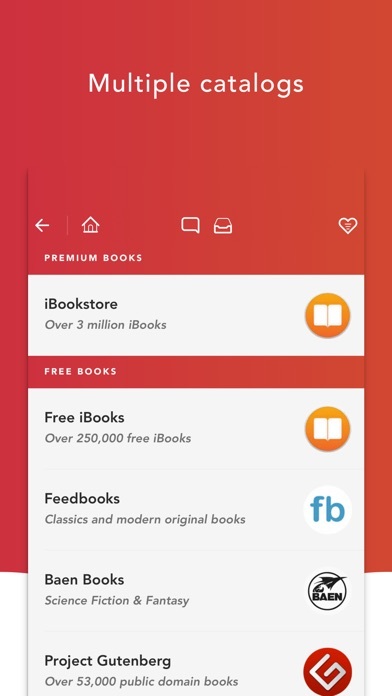 Great app...and many books to choose from! There are no instructions so it is a little hard to navigate at first, but it is well worth your time to learn how to use. I'm a college student and I have honestly saved hundreds of dollars using this app. I feel like I sound like a corny commercial but this app really is worth more than 5 stars. Project Gutenberg is a meaty bone for true book hounds! Everything you need to find a book. A great app to find obscure and interesting books. I recommend it highly. This is by far the best ebook reader i have even encountered! It was really easy to download the book I hope it’s a good one. Good app but smashwords catalogue won’t work, developer please fix!!! Found what I need Free! Great app. Lots of free stuff. Works good easy to navigate,get many books,soon learn to read. Thanks For this free ebook app.This app is too easy to download epub books. This app needs more Bengali books in it. Seems so far to be a well-designed app. I’ve only used twice. I’ll update as I continue onward. Just got the app but working well so far for me. Fantastic app, but I noticed that a lot of PDF files that I download are all blank pages. It wasn’t like this before on my older iPad device. 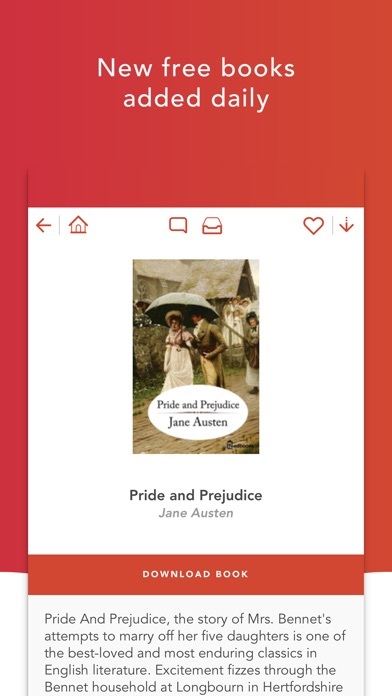 This app has given me a whole new hobby - collecting the classic books I’ve only learned about through listening to old time radio. The app is simple and clean, not a lot of junk or flashy colours on the screen. So far an enjoyable experience. It does what it’s supposed to do and does it quite well. A big thank you to the team at Inkstone. Great , is the only word that could describe this app. It is so useful and helpful. You can search as many as possible book online by several ebook websites. A wonderful app! Worked Great! Found exactly what I was looking for in just a few minutes. As I approve of fine foods, so I laud this site as a feast for book lovers. easy to find text & books once you play around for a few moments- definitely worth the download if you are looking for obscure or even just tedious writings! highly recommended! i sincerily love this app. it's extremely easy to browse stories and exceptionally well done. Great collection of books. Thanks. Love the app, sometimes it is hard to search some books but it has variety of books and languages Helps to improve your reading, writing and language skills! This app is very easy to navigate and use, and offers up a prime selection of free ebooks from a plethora of sources. It is definitely worth your time! I was overwhelmed by the sheer number of books offered. It makes me so happy to have a fantastic collection of works right at my fingertips. I'm incredibly impressed. It is good to be able to find the books that have stood the test of times so I can share them with my grandchildren. This has all the books you have heard about, meant to read but never got to because......many books are no longer available in the library, you don’t worry about a deadline to return books.Fantastic selection. Lots of free books I love it!! When I learned how to operate the app I loved it !!! It has been awesome when looking for classics for school !! A tremendous resource for popular and esoteric books/publications. And free! In many countries libraries charge a fee and may limit the number of books you can access in a year. This library is free and open 24/7/365. A booklover‘s dream come true. An unbelievable amount of information and entertainment. This app is amazing! I literally go on it every single day browsing for a new book. I love reading! 😍😍😍😍 Love, Kayla, your app lover. I’ve just started using this app, but so far it has been very easy to navigate. Look forward to using it for many reads. 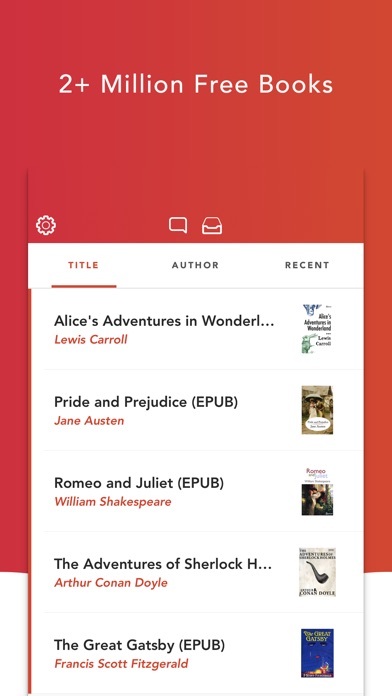 This app is a wonderful way to find books. They can be opened in iBooks so there is not a constant barrage of ads for other things to buy. Thank you for a great app! Works well. Lots of options. Would highly recommend, so many free books at your finger tips. You do have to research a lot but worth it. This is a convenient resource for book finding. I like it; useful. Not the “Goldmine” they would have you believe, but “ok”.